Researchers at the Luxembourg Centre for Systems Biomedicine (LCSB) of the University of Luxembourg have grafted neurons reprogrammed from skin cells into the brains of mice for the first time with long-term stability. Six months after implantation, the neurons had become fully functionally integrated into the brain. This successful, lastingly stable, implantation of neurons raises hope for future therapies that will replace sick neurons with healthy ones in the brains of Parkinson's disease patients, for example. The Luxembourg researchers published their results in the current issue of Stem Cell Reports. The LCSB research group around Prof. Dr. Jens Schwamborn and Kathrin Hemmer is working continuously to bring cell replacement therapy to maturity as a treatment for neurodegenerative diseases. Sick and dead neurons in the brain can be replaced with new cells. This could one day cure disorders such as Parkinson's disease. The path towards successful therapy in humans, however, is long. "Successes in human therapy are still a long way off, but I am sure successful cell replacement therapies will exist in future. Our research results have taken us a step further in this direction." said stem cell researcher Prof. Schwamborn, who heads a group of 15 scientists at LCSB. In their latest tests, the research group and colleagues from the Max Planck Institute and the University Hospital Münster and the University of Bielefeld succeeded in creating stable nerve tissue in the brain from neurons that had been reprogrammed from skin cells. 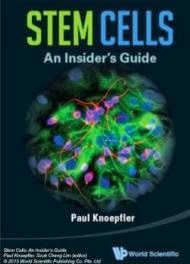 The stem cell researchers' technique of producing neurons, or more specifically induced neuronal stem cells (iNSC), in a petri dish from the host's own skin cells considerably improves the compatibility of the implanted cells. The treated mice showed no adverse side effects even six months after implantation into the hippocampus and cortex regions of the brain. In fact it was quite the opposite -- the implanted neurons were fully integrated into the complex network of the brain. The neurons exhibited normal activity and were connected to the original brain cells via newly formed synapses, the contact points between nerve cells. The tests demonstrate that the scientists are continually gaining a better understanding of how to treat such cells in order to successfully replace damaged or dead tissue. "Building upon the current insights, we will now be looking specifically at the type of neurons that die off in the brain of Parkinson's patients -- namely the dopamine-producing neurons." said Schwamborn reports. In future, implanted neurons could produce the lacking dopamine directly in the patient's brain and transport it to the appropriate sites. This could result in an actual cure, as has so far been impossible. The first trials in mice are in progress at the LCSB laboratories on the university campus Belval.